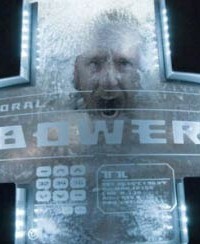 In the movie “Pandorum,” two crewmen (Dennis Quaid and Ben Foster) awaken from hyper-sleep aboard a spacecraft. None of their equipment is working, and their memories are incomplete. What was their mission? How much time has passed? Where are they? Who are they? As they try to piece things together, they discover they are not alone, and the ship’s new inhabitants – tribal warriors carrying crudely made weapons – are moving among them, intent on killing all aboard. As the space travelers unravel the frightening and deadly secrets the ship harbors, they realize the survival of mankind hinges on their actions. They must regain control of the ship before “Pandorum” takes over.